HBO and the NHL team up for a four-episode all-access series leading up to the Bridgestone NHL Winter Classic between the Philadelphia Flyers and the New York Rangers. a four-episode all-access series leading up to the bridgestone NHL Winter Classic between the Philadelphia Flyers and the New York Rangers, debuting Dec. 14, exclusively on HBO. The executive producer of 24/7 FLYERS/RANGERS: ROAD TO THE NHL WINTER CLASSIC is Rick Bernstein; senior producer, Dave Harmon; coordinating producers, Scott Boggins and Bentley Weiner; co-producer, Abtin Motia; Aaron Cohen is the writer;Liev Schreiber narrates. With 14 Sports Emmy® Awards, “24/7” is the most honored sports series of the past four years. At the 2011 Sports Emmy® Awards, the franchise took home two more trophies for production excellence, including the award for “Outstanding Edited Sports Special” for 24/7 Penguins/Capitals. Said Collins, ""We are thrilled to be teaming up with HBO's 24/7 again this year as last season's ground-breaking series did a masterful job of changing the way people think about hockey and its players. The Emmy-award winning program managed to reveal a great deal of the mystery, nuance and passion in the game and helped create new NHL fans. This year's Bridgestone NHL Winter Classic between two iconic organizations as well as bitter rivals in the Flyers and Rangers promises to give fans another unique look at the intense road to hockey's greatest outdoor event as only HBO can deliver."" ""Our players are acutely aware of the tremendous marketing value derived from the HBO 24/7 series and we are excited, as are all hockey fans, to see this initiative return to the NHL,"" said Mike Ouellet, Chief of Business Affairs, NHLPA. 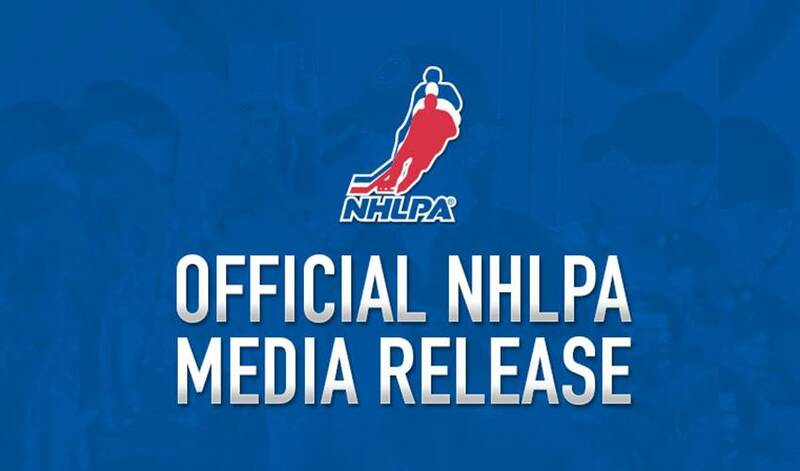 ""The NHLPA is looking forward to once again having our players participate to provide viewers with an in-depth behind the scenes look at some of the greatest athletes in the world."" Ensuing episodes of 24/7 FLYERS/RANGERS: ROAD TO THE NHL WINTER CLASSIC debut on subsequent Wednesdays – Dec. 21 and 28 and Jan. 4 – at 10:00p.m., with an immediate encore play at 11:00 p.m. The Jan. 4 series finale debuts just two days after the Classic, with cameras tracking all the drama and excitement surrounding the Flyers and Rangers on game day. All four episodes will have multiple replay dates on HBO, and the series will also be available on HBO On Demand® and HBO GO®. In the same manner as last year’s acclaimed edition of 24/7 Penguins/Capitals, the series will provide exclusive behind-the-scenes access, along with in-depth interviews of coaches, players and front-office personnel, as the two teams battle through their December schedules, face-off on Dec. 23 in New York, and meet in the first-ever NHL game at Citizens Bank Park. 24/7 FLYERS/RANGERS: ROAD TO THE NHL WINTER CLASSIC is the second edition of HBO Sports’ breakthrough NHL reality foray. The acclaimed “24/7” franchise began in 2007 with “24/7 De La Hoya/Mayweather,” chronicling the two prizefighters in the lead-up to their mega-fight. PHILADELPHIA, Sept. 26, 2011 – HBO Sports’ groundbreaking “24/7” reality franchise, which has captured 14 Sports Emmy® Awards, will join forces with the National Hockey League once again and take viewers inside one of the NHL’s great matchups, between Atlantic Division rivals Philadelphia Flyers and New York Rangers, for 24/7 FLYERS/RANGERS: ROAD TO THE NHL WINTER CLASSIC, an innovative four-episode, all-access reality series, it was announced today by Rick Bernstein, executive producer, HBO Sports and John Collins, chief operating officer for the NHL. The HBO Sports HD presentation debuts in prime time WEDNESDAY, DEC. 14 (10:00-11:00 p.m. ET/PT), with an immediate encore at 11:00 p.m., and follows the two clubs simultaneously, chronicling their highs and lows each week. The build-up and excitement surrounding the rivalry reaches its apex when the two teams meet in the fifth edition of the Bridgestone NHL Winter Classic on Jan. 2 at Citizens Bank Park in Philadelphia.